"Medical Management Resources has literally saved me tens of thousands of dollars in wasted time and frustration. In my personal injury practice, I have outsourced my medical records/bills acquisition to MMR 100%. No longer is my paralegal or I on the phone for hours on end with health care providers trying to figure out how to acquire records and bills for our clients. MMR has the connections and the resources to obtain everything in a fast, efficient, and inexpensive manner. Because of MMR, there is no reason for me or my staff to ever deal with the hassle of medical records acquisition ever again. I wholeheartedly recommend MMR. They have changed my practice and now I can spend more time doing what I do best, representing my clients. " "I would recommend MMR to any personal injury attorney who is committed to fully understanding the nature and extent of the injuries sustained by their client. 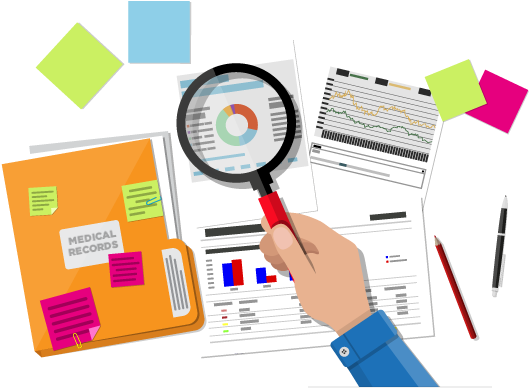 MMR is involved closely in virtually all of our significant cases in helping us obtain, analyze, summarize, and understand the medical records of our clients. I have worked with MMR for over 30 years and cannot now imagine practicing without their assistance. I have worked with a number of other consulting firms around the country and they are heads and shoulders above the rest. "